I will be taking some time off - six weeks to be exact - and will not be blogging during my sabbatical time. Thanks for your faithfulness in reading my scribblings and thoughts. I look forward to catching up again with you during the first week of July. by setting your clock ahead one hour before you collapse in bed tonight! So much is taking place at LCC and in our lives these days. Here is just a brief run-down; some church related and some personal...in no particular order. Please join me in breathing a prayer of thanks to God along with a prayer of re-commitment to reach our world with the Gospel of Jesus. - I enjoy more and more the give-and-take, iron-sharpens-iron relationships I have with other local lead pastors. I spent some encouraging time this week with David Holland from Tidal Creek Fellowship and Carl Martin from CrossPoint Church. Great men of God doing great Kingdom work. - It's official: I wear glasses again ... and not just for reading anymore. Wore them until I was 20, then contacts and Lasik surgery. Now back to specs. The price of ageing, I guess. - Still trying to get my mind around the fact that, Lord willing, there is going to be a grand-child running around come August. How did all this happen so fast? - I'm finding that I really enjoy Twitter. Never thought I would...thought it would be a bunch of insane drivel where people share the boring details of their lives. You can find that, but I have discovered that I am challenged by following leaders and friends and reading their thoughts. Glad I did it. I'm @jsc61 if you want to join the Twitter world. - We are experiencing some wonderful, healthy days at LCC...on both campuses. Our preaching seems to be sensing the hand of God in a deeper way, and God is leading our congregation into some new steps of faith. - We gave our "first" AND "10%". The Friday after the Sunday we gave our first offering I was given a 3% raise at work....THEN, we received a statement from our mortgage lender and our monthly payment went down a couple hundred dollars!!!! - I have paid the tithe when the money was not in the check book at all and I still wrote the check. I just landed a $25,000.00 job and they gave me a $10,000.00 deposit!! - Since I started to tithe, I've had my first job interview in months. - We are two pay checks into our tithing commitment and we are realizing just how much money has had a grip on our hearts. - I know that our blessings will not always be monetary, but it is amazing to me that no matter how much we continue to tithe, I no longer even fret about God providing. - One mission team returned last weekend from flood relief projects in Nashville, TN. Another team leaves next Saturday for a water missions project in Belize. Our Emily will be a part of the latter. - Our Hilton Head campus is expanding and growing...more details coming. BUT THIS IS EXCITING! - Eric Abney will be joining our team as a worship leader for both campuses on March 3rd. Check out Eric leading worship here. - Almost 1400 people worshipped Jesus at both LCC campuses this past weekend. - And finally, a congratulatory shout-out to the Super Bowl champion, Green Bay Packers. After living there and spending six and a half years in ministry in Wisconsin, those dear people deserve something to help them make it through winters which are slightly worse than Alaska's! - God is good all the time and all the time God is good. Have a blessed and wonderful day. This very brief blog is also very random. But maybe we'll all learn something today. While researching a completely unrelated topic this morning for an upcoming sermon, the question crossed my mind: "Why do we use 'lb.' as an abbreviation for 'pound.'" Have you ever wondered that? If so, continue reading. If not, have a nice day! Here is what I have gleaned from various internet sources (no, not Wikipedia!). "lb" is an abbreviation for the Latin word "libra" which the Romans defined as balance scales, used for weighing (also reflected in the symbol for the astrological sign Libra) Fuller terminology was libra pondo, the second word being the origin of our pound weight. Now that "lb" is out of the way, something else is bugging me: Why is this symbol, #, referred to as the "pound sign" in the USA? It's gained in popularity recently on Twitter, where it is referred to as a hash tag. I don't know what that term means either. Last night LCC hosted a community rally for ABC TV's Extreme Home Makeover. Approximately 1000 folks attended, heard from the producers, learned more about the upcoming home build in our county, and generally, just got all pumped up and ready to build. To read our local newspaper's take on the event, click here. If you would like to take part in the build, which begins next week, click here to learn more and to register. - We begin a brand new, three-week series at LCC this weekend at both campuses. "Rate of Return" will help us look at the influence of money in our lives and remind us of how we can be better stewards of all God has given to us. - Darlene and I are on top of the world, as we learned recently that Tiff and Bryan are expecting our first grandchild! I find it so hard to imagine myself as a grandfather since I am so young and virile (at least in my own mind). Lauren and Emily are , of course, doing back flips about their future "Aunt-hood." Thank you for praying with us for the health of this developing blessing from God. - Our next class of the Bible Institute of the Lowcountry begins again on January 24th. If you are a local and desire more information or want to register, click here. This semester will be an Old Testament survey from Genesis through 2 Samuel. Our Bible Institute also makes it possible for you to study through Liberty University, the largest Christian university in the world. - I'm looking forward to spending some teaching time next Monday with a great group of church planters from around the Carolinas. I believe they are doing one of the toughest jobs on the planet. I totally respect and honor these guys. - While Christmas decorations are being removed from our campuses this week, we were able to spend some time as a staff yesterday just thanking God for all He did in people's lives through our seven Christmas Eve (and Christmas Eve eve) services. We know of 85 persons who made decisions to follow Christ as their Lord and Savior! Nothing is better than that!! 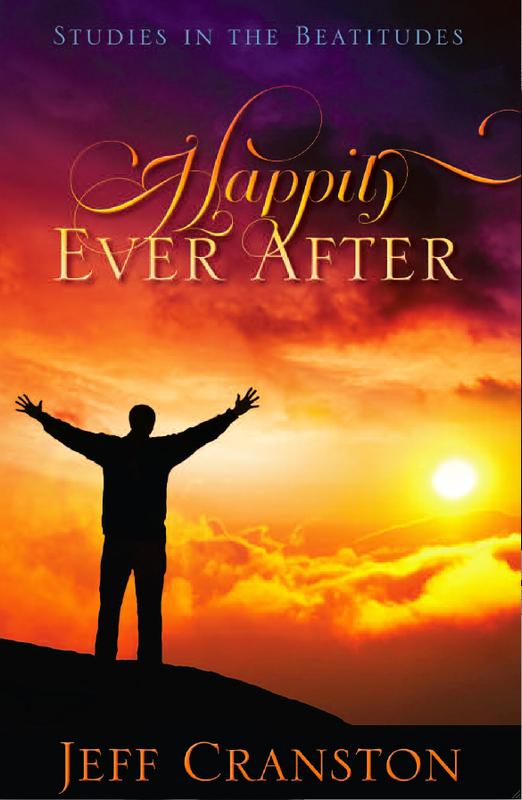 - Shockingly, my new book, Happily Ever After, actually sold out of its first printing. The second printing has arrived and is available. You can order it from my website, ABE Books, or eBay. It is also available at both campuses and soon to be available in one or two local book shops. All proceeds go toward training Christian leaders internationally. -As this blog title suggests, these are just a few random thoughts I wanted to share with you today. I trust you enjoy a wonderful day basking in God's love for you! 1. Which city has the highest crime rate: Lynchburg, VA., Wheaton, IL., or Colorado Springs, CO.? 2. Why do you never hear the term, "knee-jerk conservative"? 4. Has a study ever been commissioned that compares the personal finances of those who adhere to prosperity theology versus those who do not? 5. Why is it that people give tens of millions of dollars to Christian TV personalities when a few Christian colleges and universities could be saved from bankruptcy, in some cases by only a few million? 6. What would happen - really - if every gospel-believing group on the planet banded together to complete the Great Commission? 7. How many Christians are praying for Osama bin-Laden? 8. Who holds all the Christian singers and performers accountable? 9. Is it unbiblical for a Christian man to wear an earring? 10. Why can't we just spell it "orderves"? 11. Why isn't "phonetic" spelled the way it sounds? 12. Why is it, when I'm driving down the street searching for your address, I turn down the radio? 13. If you tied buttered toast to the back of a cat and dropped both from, say, shoulder height - what would happen? Okay, here's the deal: please don't email me back answers. It's more fun to leave these as they are. Rather, send me your nagging questions. Finally, if you think about it, please say a prayer for me. This Thursday night, February 4, I'm speaking at Cokesbury United Methodist Church's Celebrate Recovery (Knoxville, TN). It's the largest weekly gathering of CR in the USA. I'm pumped! Has our fast-paced Bluetooth, iPad, Blackberry, cellphone-driven society caused us to become boorish, rude, and generally uncivil toward one another? From rage-road during pre-dawn commutes to high decibel cell phone conversations in the theatre during a movie, to men and women just simply behaving badly (watch Jersey Shore - on second thought - don't), to the increasing use of foul and vulgar language on TV, it seems we have become a people who have lost our manners somewhere along the way. But I digress. What the dictums do bring is a focus - particularly toward others - that becomes increasingly hard to find today. While all 110 rules may be read on-line here, allow me to share with you a few of my favorites. - Sleep not when others speak, sit not when others stand, speak not when you should hold your peace, walk not on when others stop. - Show not yourself glad at the misfortune of another though he were your enemy. - Let your discourse with men of business be short and comprehensive. - Do not express joy before one sick or in pain for that contrary passion will aggravate his misery. - If you deliver anything witty and pleasant abstain from laughing thereat yourself. - Play not the peacock, looking everywhere about you, to see if you be well decked, if your shoes fit well, if your stockings sit neatly, and cloths handsomely. - Be not immodest in urging your friends to discover a secret. - Be not apt to relate news if you know not the truth thereof. See what I mean? Although the language is stodgy-sounding to our ears, the wisdom is timeless. And our society would be much-the-better if we began listening to George again. Oh, and by the way Larry and Dawn, next time I'm over at your house for a meal, I promise to obey rule number 90: Being set at meat, scratch not, neither spit, cough or blow your nose - except there's a necessity for it. The moon on New Year's Eve, they tell us, will really be something to see. It's called a "blue moon." I don't know exactly why it has that moniker, but if you are curious, click here. 14 Then God said, "Let there be lights in the sky to separate day from night. These lights will be used for signs, seasons, days, and years.15 They will be in the sky to give light to the earth." And it happened. 16 So God made the two large lights. He made the brighter light to rule the day and made the smaller light to rule the night. He also made the stars.17 God put all these in the sky to shine on the earth,18 to rule over the day and over the night, and to separate the light from the darkness. God saw that all these things were good.19 Evening passed, and morning came. This was the fourth day.